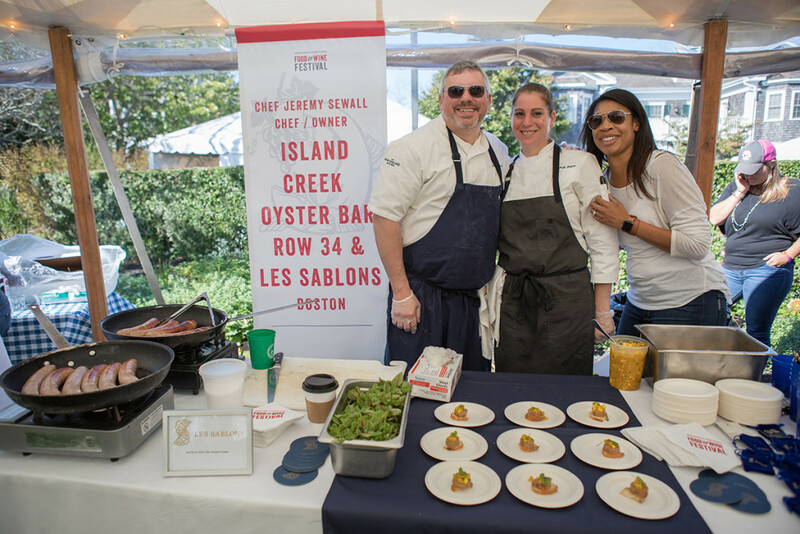 The Martha’s Vineyard Food & Wine Festival (MVF&W), the flagship food and beverage event on Martha’s Vineyard which offers a series of unique-to-the-Island experiences, will return to Edgartown on October 17–21, 2018. 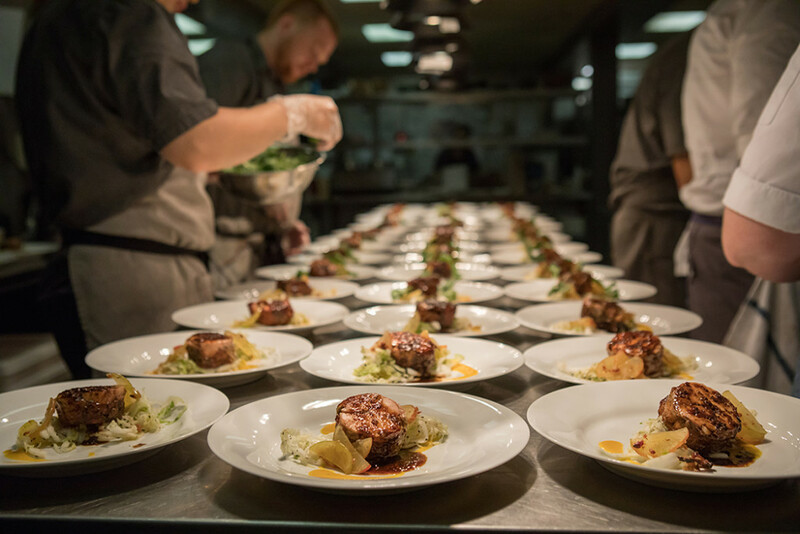 For the eleventh year, 2,000+ food and wine enthusiasts will converge on the Island for the five night, four-day event that showcases the Island’s best local culinary talent, producers and ingredients; complimented by celebrated chefs, knowledgeable educators and best-in-class winemakers. New this year, the festival will be held at the picturesque Winnetu Oceanside Resort in Katama, offering a unique setting for the event, which has traditionally been hosted throughout downtown Edgartown. “We are thrilled to be hosting this year’s festival at the Winnetu. It is a special place that evokes a particular sense of relaxation and panache, making it the perfect environment for the event. The festival has always aimed to showcase the beauty and diversity of Martha’s Vineyard and the Winnetu represents that,” – Dawn Curtis Hanley, MVF&W Festival Director. Also new this year is the addition of Hyline Cruises service direct from Hyannis to Edgartown for the event, making it easier than ever for attendees from various parts of Cape Cod to arrive more conveniently. Additionally, those visiting Martha’s Vineyard can take advantage of several MVF&W Festival lodging packages through the Hob Knob Hotel, the Winnetu, the Vineyard Harbor Motel, the Clarion Inn, Edgartown Inn, and Lark Hotels. The MVF&W Festival was founded by the Edgartown Board of Trade in 2007 with the goal to create additional tourism on the Island during the fall months. The MVF&W Festival is rooted in its commitment to showcase the local talent and abundant resources on Martha’s Vineyard all year long, and further supports the community by donating proceeds to local charities including the Island’s farm-to-school program Island Grown Schools, and the Agricultural Society’s Farmers Program which perpetuates agriculture on Martha’s Vineyard. 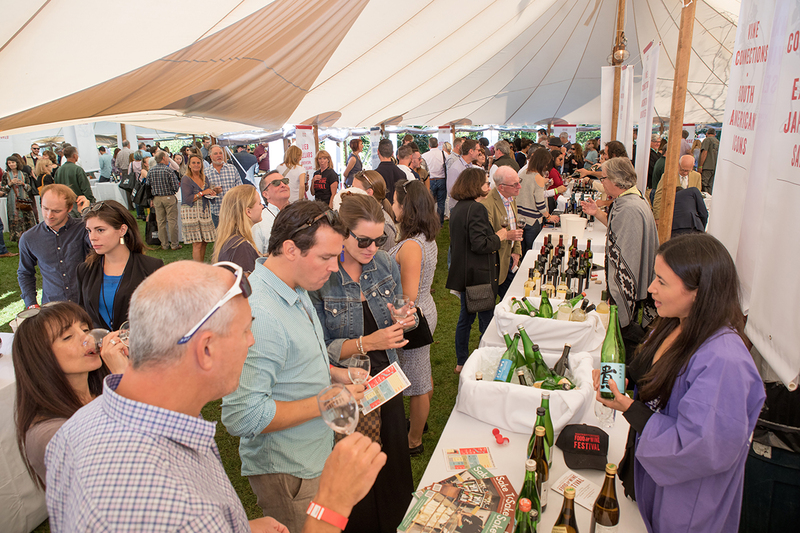 The MVF&W festival is made possible by Edgartown Board of Trade, Colonial Reproductions, The Christina Gallery, Gazette Media, Yankee Magazine, Cape Cod Five, Wallace & Co, Sandpiper Realty, Cape Air, Brennan & Co, Steamship Authority, Rosewater Market & Takeaway, FitVine, Tenure Vodka and more. For a complete list of friends and sponsors please visit the website. Visit mvfoodandwine.com for the full line up of events and to purchase tickets. Join us on Facebook, Twitter and Instagram @mvfoodandwine for additional Festival programs and special offers from our sponsors.